You don’t want to waste your time on solving superficial problems or symptoms. If you want to create impact, you have to solve the root of your problem. 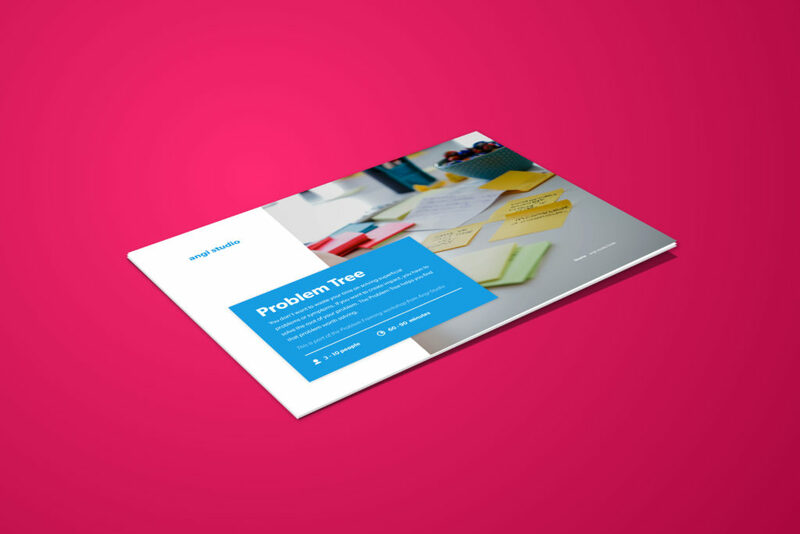 The Problem Tree helps you find that problem worth solving. When to use the Problem Tree? When starting a new project or Design Sprint, a lot of problem statements or goals stay very vague or don’t get to the root of the problem. That’s why we developed this short exercise, filling in the ‘Problem Tree’ will help you get to that root and find the problem worth solving. you want to define a clear problem statement together with your team. you want to get to the roots of those problems. you want to solve problems with impact.